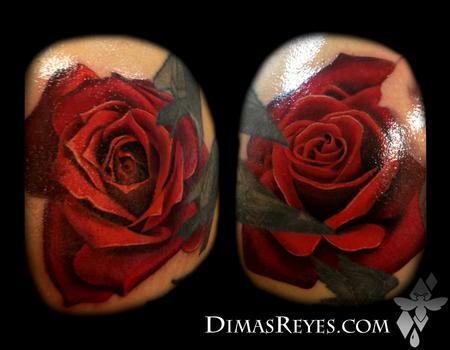 These are the roses surrounding the black and grey lion I tattooed on my client's chest. They represent his daughters. Flowers are always fun to tattoo!